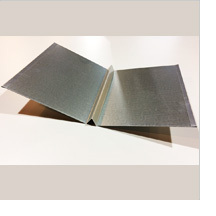 Choose from a variety of materials and finishes for your project needs. As a homeowner, you want to get the most out of your roofing investment. Today homeowners have more options available to them than ever before, and many are choosing a more permanent metal roofing solution. Homeowners demand higher quality, longer lasting, and environmentally-sound products, and asphalt shingle roofs just can’t compare. Call Specialty Construction to learn why metal roofs are becoming the fastest-growing category of roofing offering homeowners the best value. Our roofing solutions are virtually maintenance-free, extremely durable and add energy-saving value to your home. 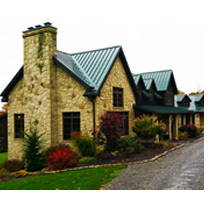 Our Standing Seam panels provide unmatched quality for a dependable, long-lasting, and beautiful roof. Structural standing seam roof systems are ideal for lower sloping and longer spanning roofs, or where extreme temperature variations exist, like in the North East. Our panels deliver clean, linear elegance and unmatched quality for a dependable, long-lasting, and beautiful roof. 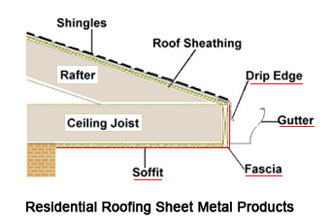 Structural Standing Seam roof systems are ideal for lower sloping and longer spanning roofs. Call Us to learn more. What? Specialty Construction does asphalt roofing projects too? Yes, with over 20 years of hands-on experience in construction, and working on many roofing projects and roofing systems, Specialty Construction realized they can offer homeowners a superior product along with unmatched construction project management. Plus, today there’s much more to a new roof than just the shingles. Specialty Construction will help you ensure that your home is fully protected with a complete integrated Roofing System, including Drip Edge, Membrane Leak Barrier, Metal Valleys, Roof Vents, Chimney Flashing & Caps, Gutters and Downspouts, Soffit & Fascia or whatever is needed to keep your home weather-tight for decades. Call Specialty Construction to learn more about their integrated roofing systems. Specialty Construction can custom fabricate a comprehensive selection of moisture prevention flashing products to offer builders superior protection from the elements. 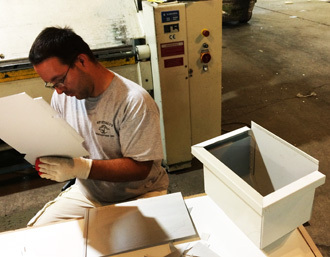 Specialty Construction’s flashing products are available in a variety of materials and finishes. 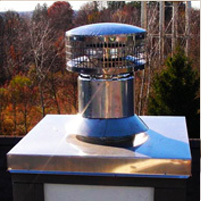 They are designed, tested and proven to keep wind and moisture from penetrating the roof system or structure. 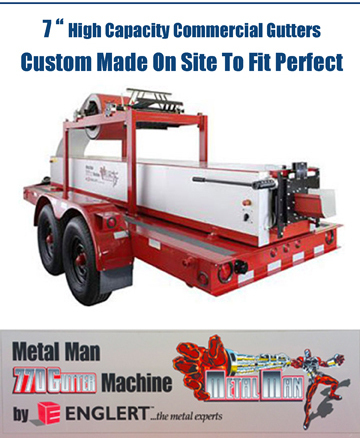 Our 7″ Box Gutter machine is designed for use in commercial and light industrial applications where an attractive, yet functional, rain carrying system is required. 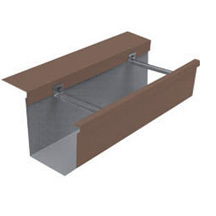 The Gutter’s large 7″ trough is capable of handling high volumes of water that are typically found draining from larger commercial roof installations. 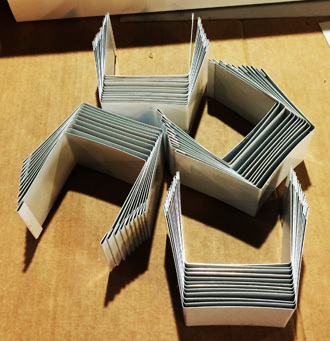 Need metal roof valleys? 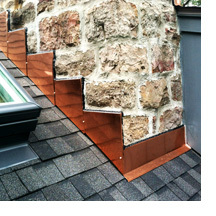 Call Specialty Construction to fabricate your roof valleys, regardless if they are standard bends or water slowing. 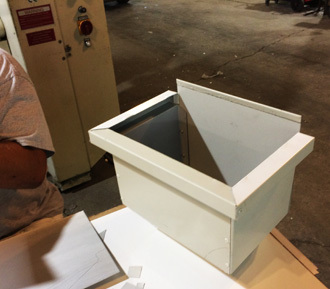 We fabricate custom chimney flashing out of a variety of durable sheet metals to ensure that the connection between the chimney and roof is water-tight for decades. 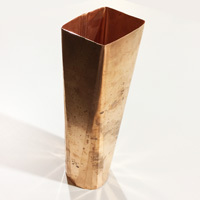 Copper and Stainless Steel are specified most. 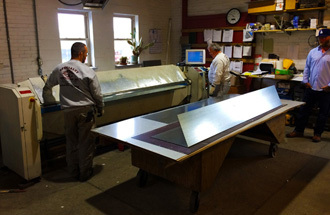 Call us for a custom quote. 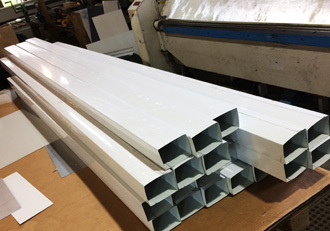 We fabricate custom gutters and downspouts out of a variety of durable sheet metals to ensure that the roof drains properly, away from your foundation. Call us for a custom quote. 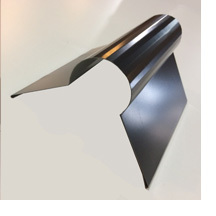 Have a roof peak cap design in mind. 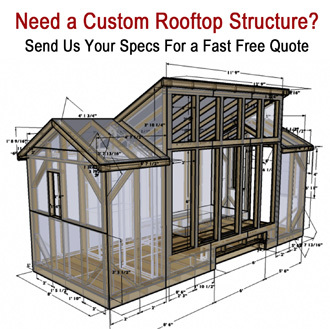 Call Specialty Construction for a fast free quote on our ridge rolls. Seamless and custom made products to order. 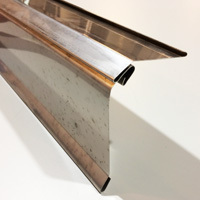 Specialty Construction offers the most popular gutter profiles on the market as well as radius and custom made gutters. 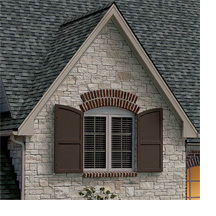 We also offer custom wooden “box gutter liners (commonly made out of copper), brownstone, seamless k-style and half-round gutters. We fabricate copper gutters, aluminum gutters, steel gutters and galvanized gutters for general contractors, roofers and do-it-yourself home owners. Special pricing available for large quantities, call today. 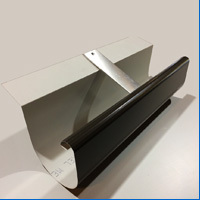 We fabricate custom gutters and downspouts, gutter eves and custom adapters or transitions. 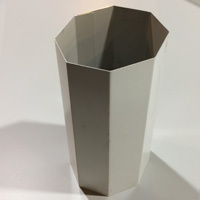 These custom items are fabricated out of a variety of durable sheet metals to ensure that the roof drains properly, away from your foundation. Call us for a custom quote.